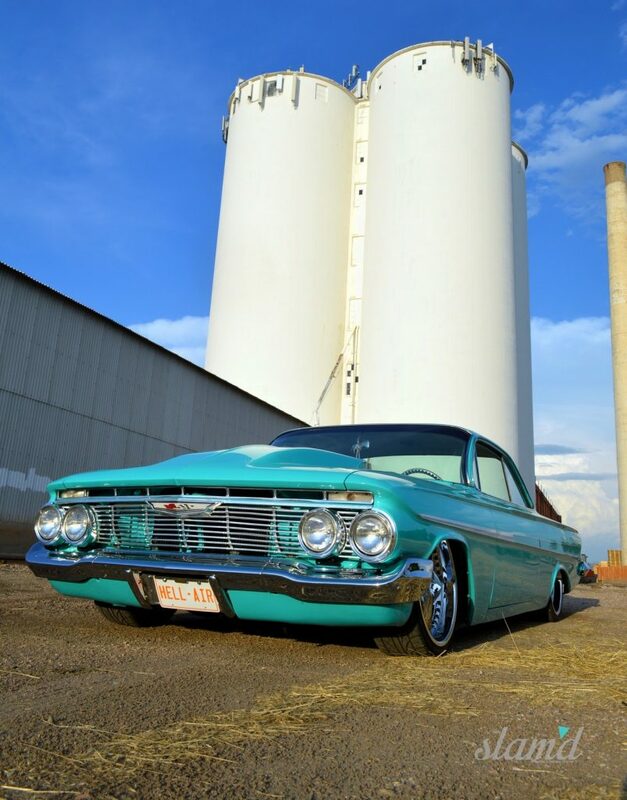 When you’ve owned hundreds of cars over your lifetime like Terry Carroll of Greeley, Colorado has, it definitely takes a lot to make one particularly special. 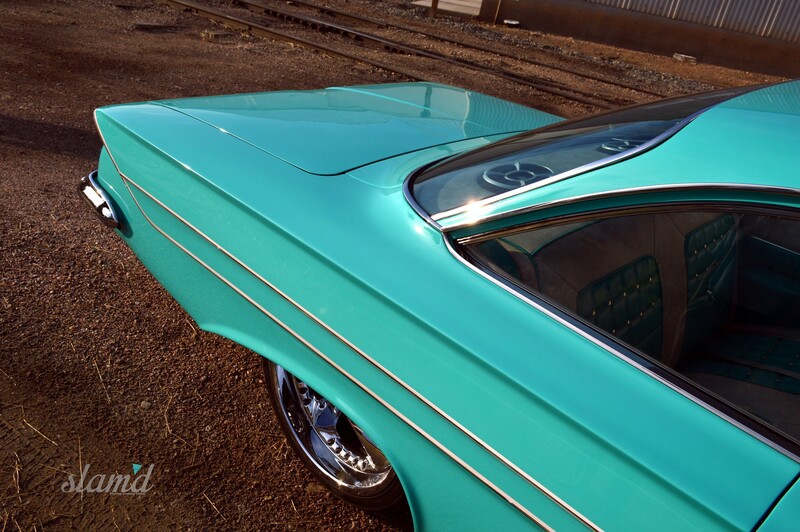 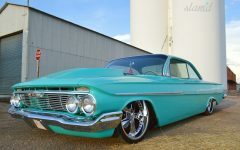 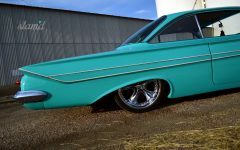 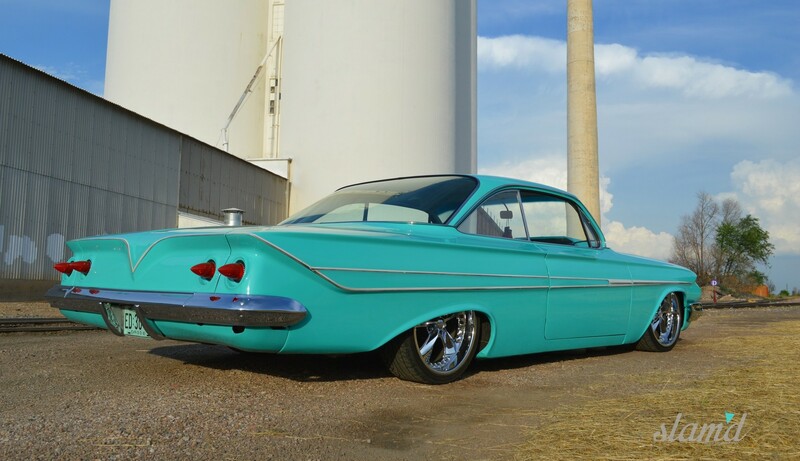 But when Carroll got the opportunity to purchase this custom 1961 Bel Air bubble top from the family that had bought the car new, it was an opportunity that he just couldn’t pass up! 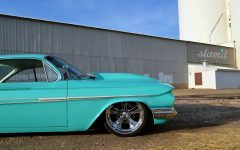 Carroll has always had an affinity for Chevy bubble tops, so when he was notified that this particular ’61 was available through a friend, a trusted friend that had built a handful of Carroll’s numerous custom cars over the years, it was no surprise that Carrol jumped at the opportunity to own one of his ultimate dream cars and immediately made the necessary arrangements. 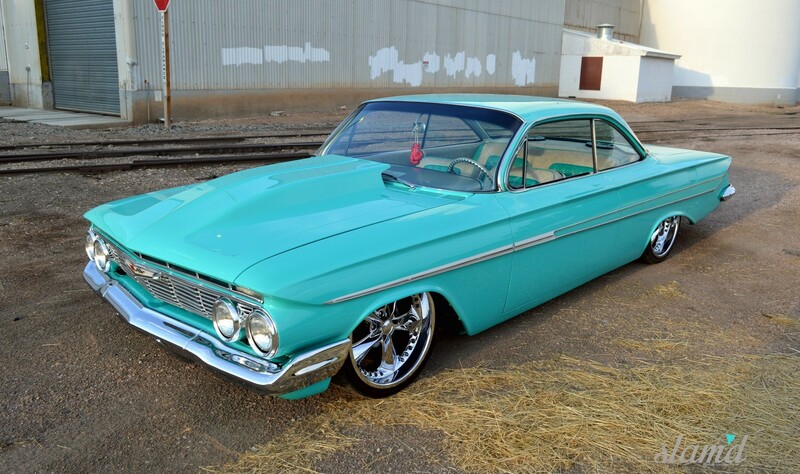 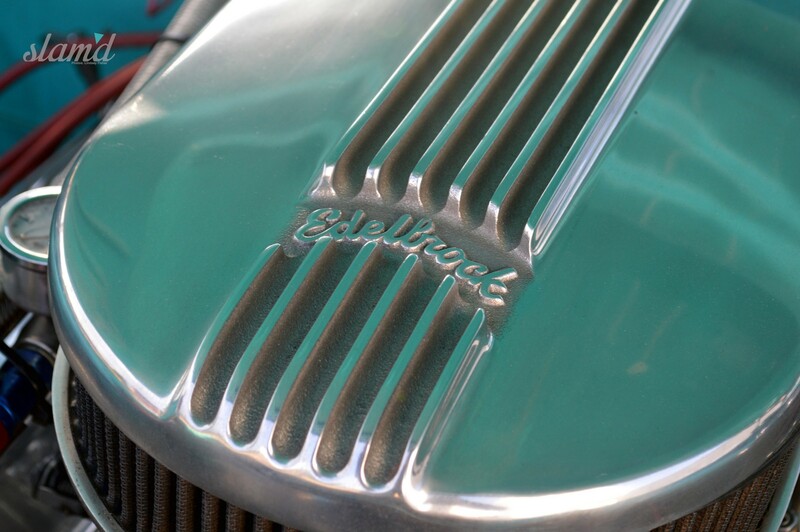 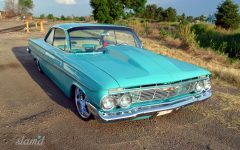 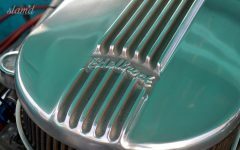 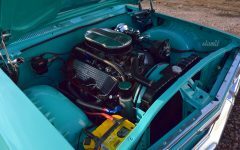 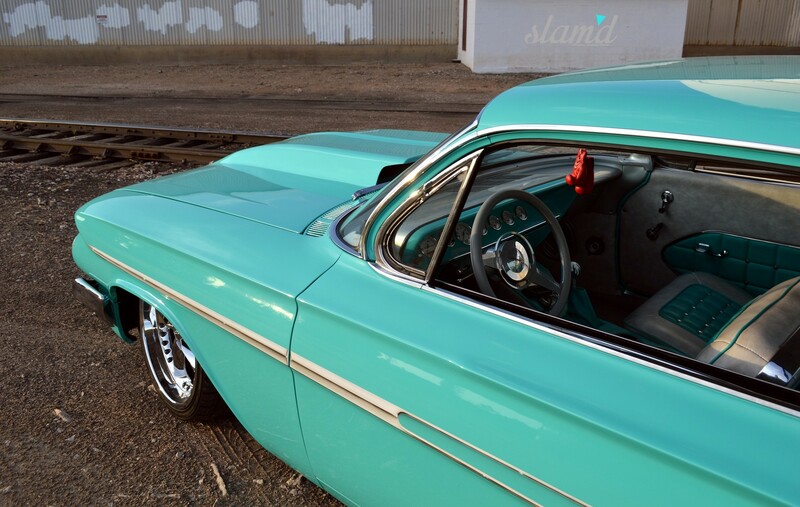 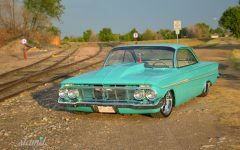 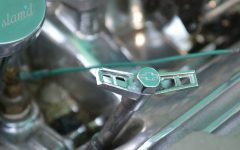 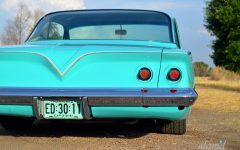 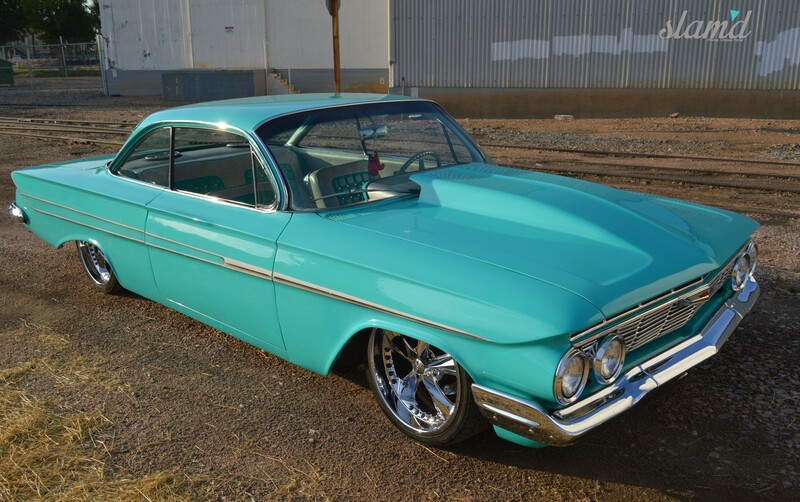 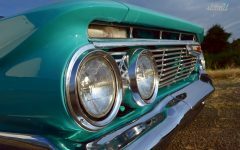 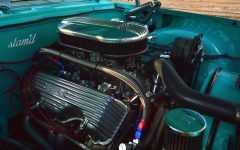 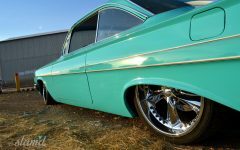 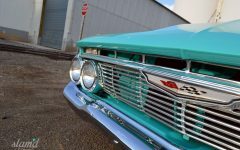 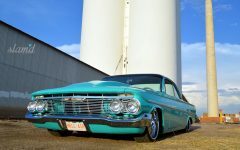 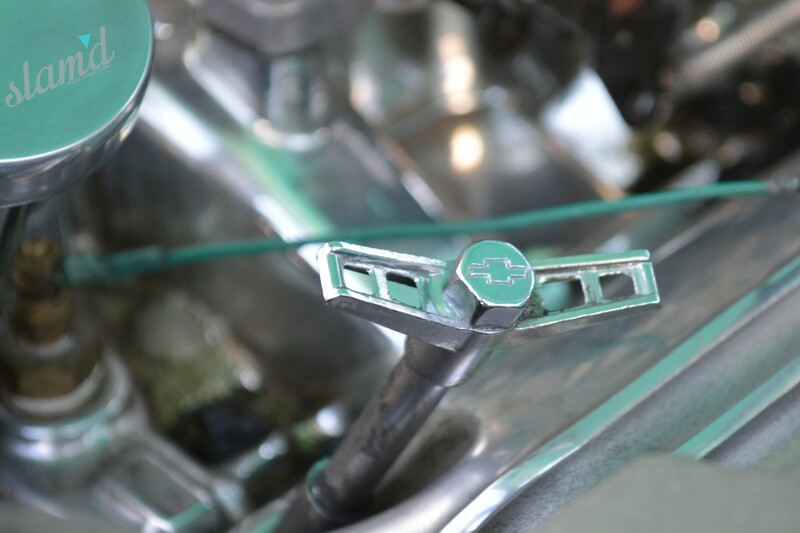 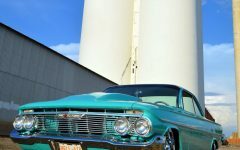 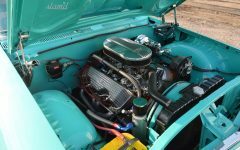 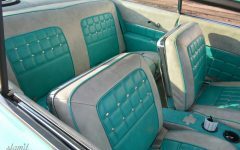 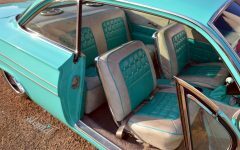 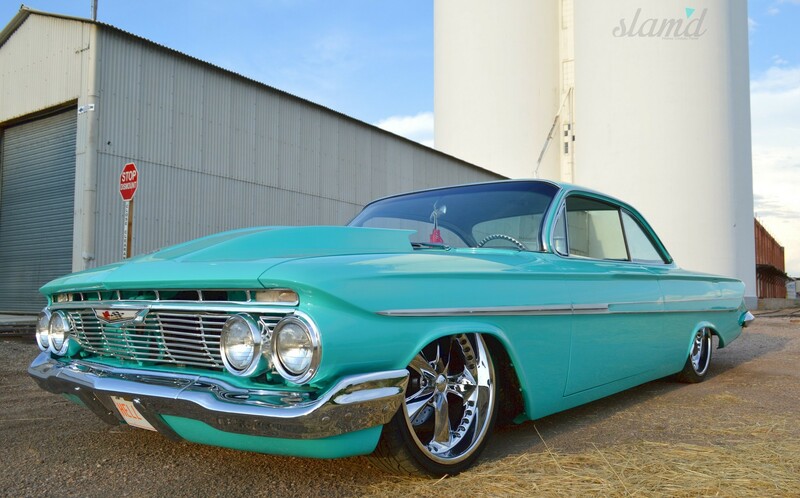 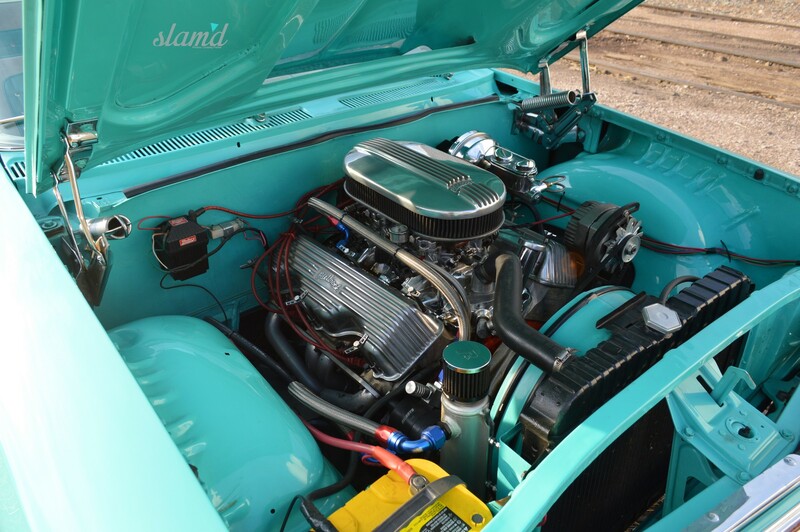 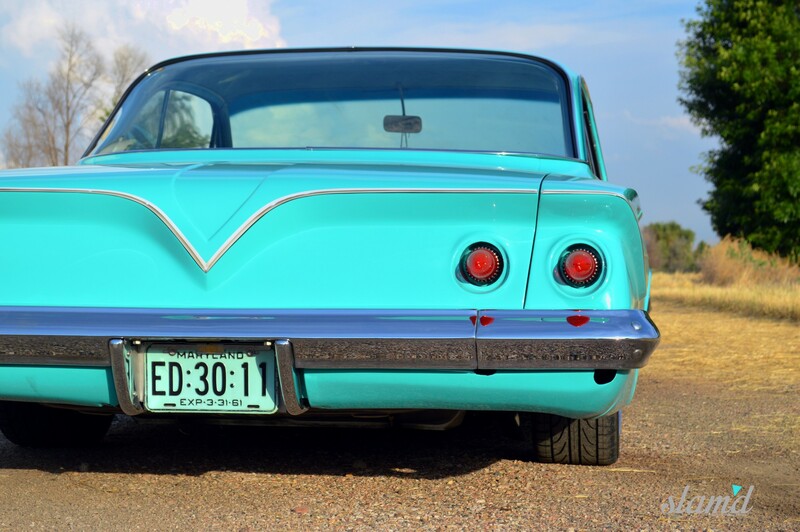 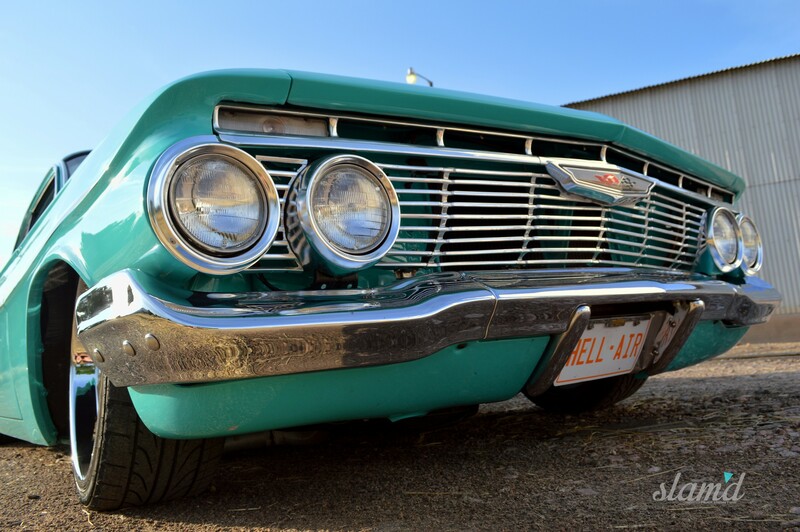 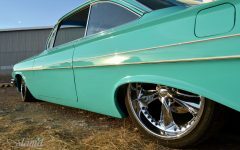 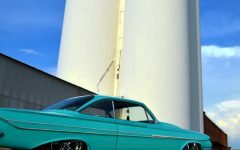 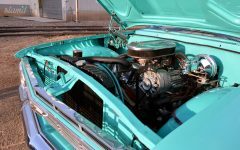 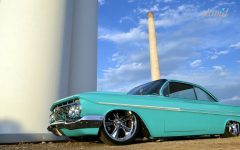 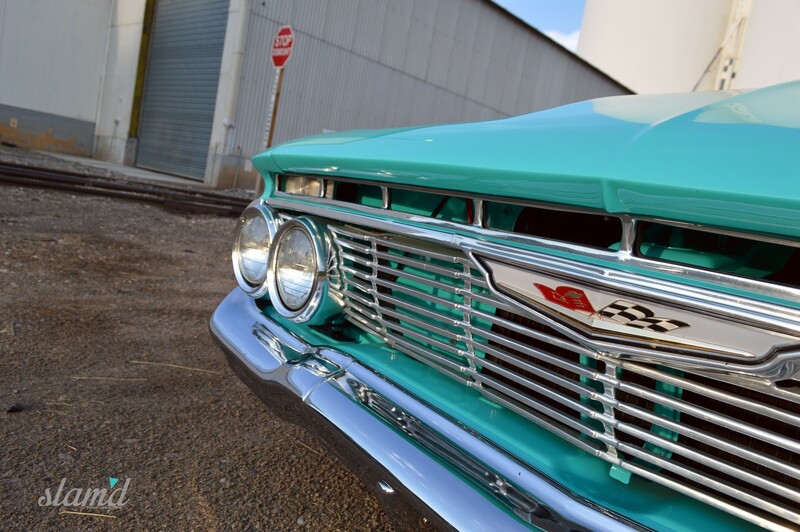 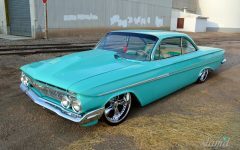 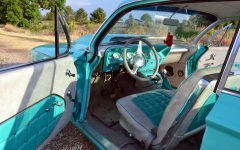 The Chev started out as a standard ’61 Bel Air with a 348ci V8 under the hood and was bought new by Carroll’s friend’s family, switching hands within the family a couple times before ending up with Eric Grandi of Eric’s Muscle Cars in Maryland. 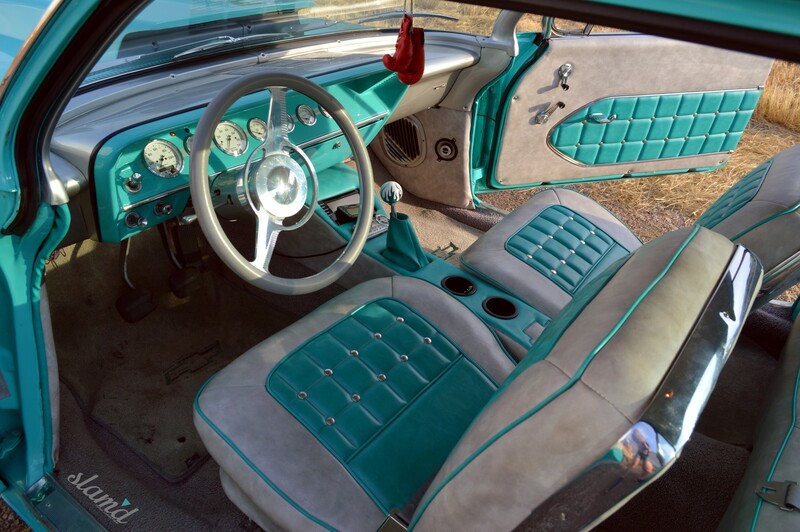 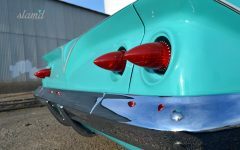 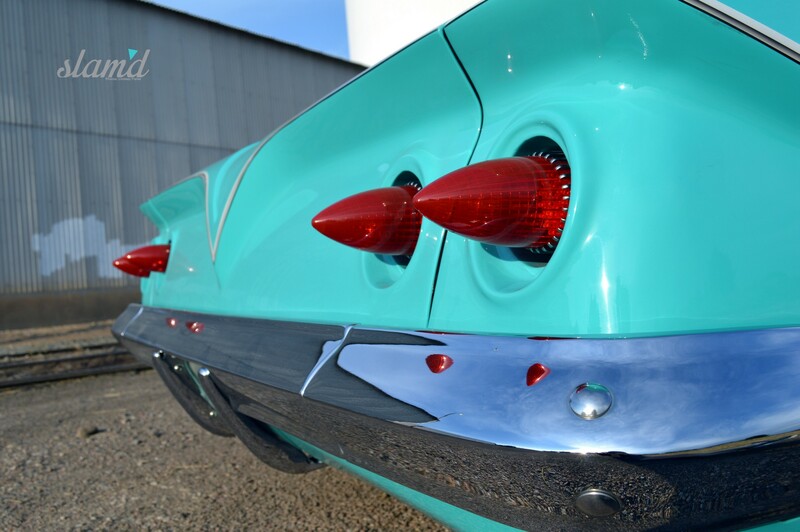 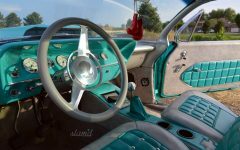 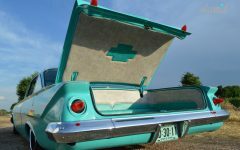 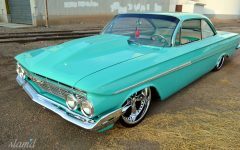 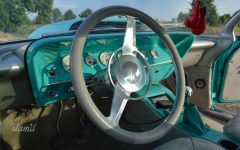 Though Carroll was initially interested in a ’57 Chevy that Grandi had, it was ultimately the ’61 that was meant to be added to Carroll’s stable and he ended up selling two of his more modern high-performance Corvettes to make the swap for the Bel Air. 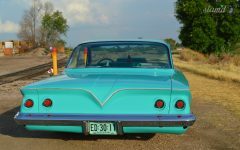 Upon purchase, the car was shipped from Maryland to Colorado, where it has resided under Carroll’s roof for about a year now. 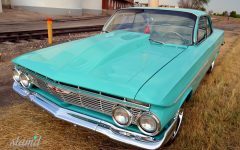 Though Carroll is careful not to drive the car in Colorado’s sometimes poor weather conditions, he’s put right at 1,000 miles on the car since he got it, taking it to local shows, including the Children’s Hospital charity car show he personally puts on every year in Denver, and cruising around his community when the opportunity presents itself. 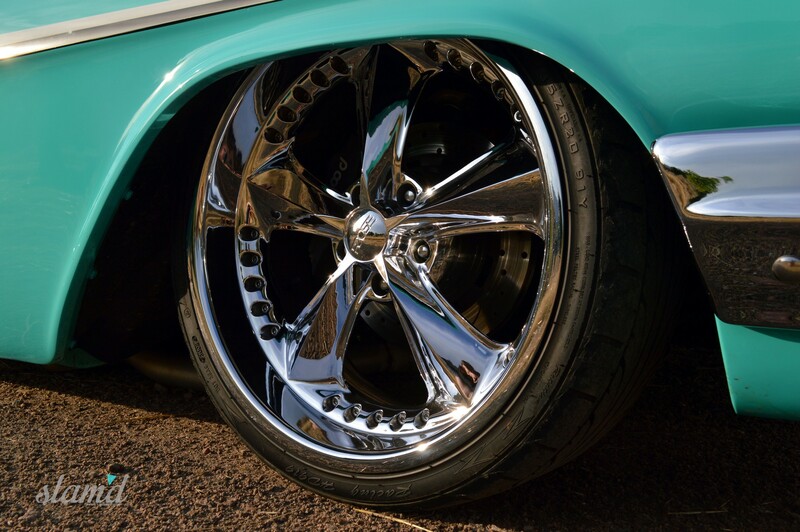 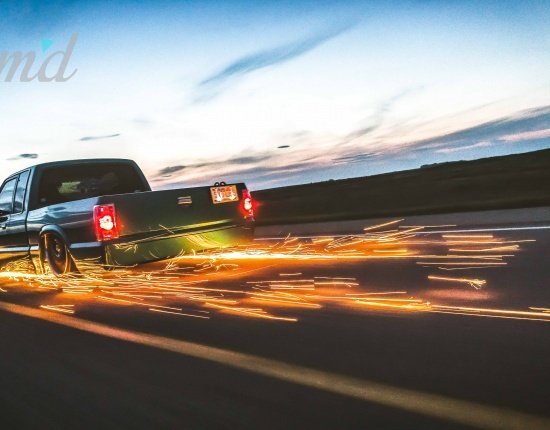 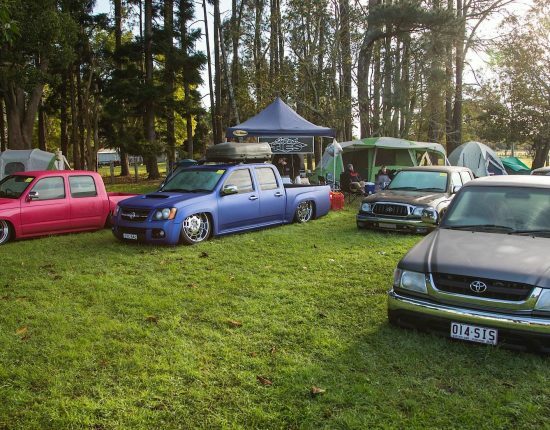 As a proud father and grandfather, Carroll enjoys sharing his automotive passion with his family and frequently takes his grandsons to shows with him, an added bonus now that he owns a classic car with more than one passenger seat. 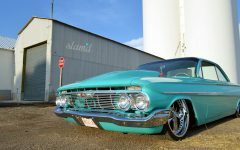 “The grandkids don’t have to argue over which one gets to ride with Grandpa to shows anymore,” Carroll shared with us lightheartedly. 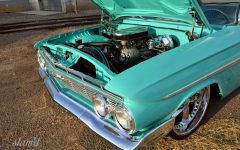 With the original but now slightly massaged 348ci V8 under the hood tied to a Muncie M20 4-speed, the Bel Air purrs like a kitten, and certainly conjures looks from everyone around, though Carroll told us that he’d like to put something even more beefy under the hood some day, like an LS with a twin-turbo setup. 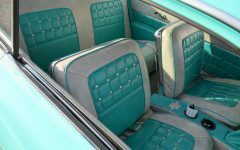 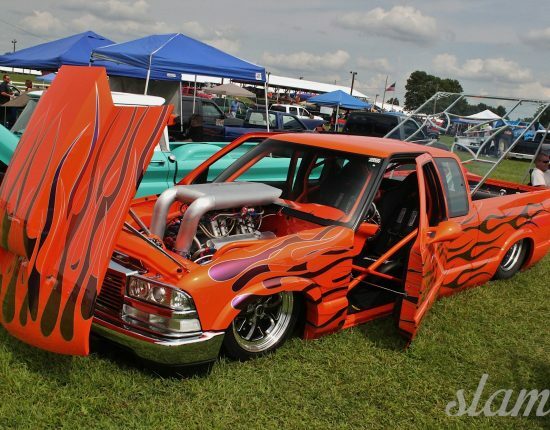 If that happens, Carroll is going to have to get even more used to the constant attention he gets in the classic Chevy. 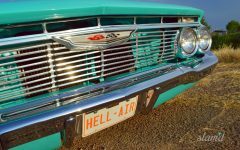 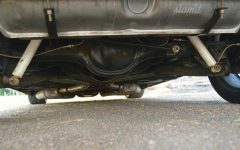 After all, the car isn’t nicknamed “Hellair” for nothing! 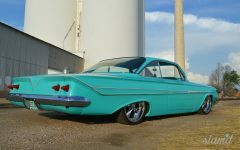 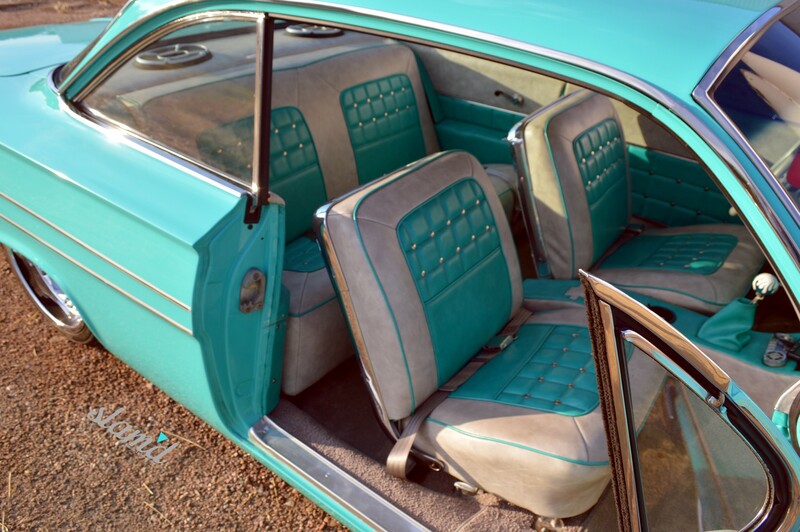 While the classic certainly sounds fierce and squats to the ground like a true Slam’d masterpiece, it still maintains much of its classic charm, right down to the PPG Hot Licks Aqua paint scheme and matching White and Aqua interior. 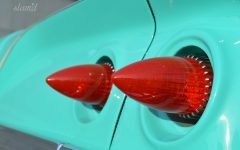 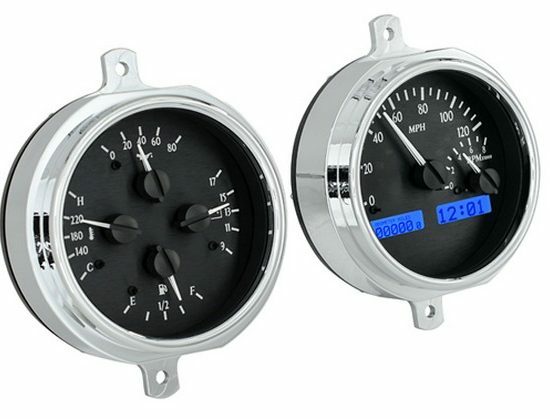 The boxing gloves that hang from the review mirror left in the car from the previous owner only add to the classic air, and even brings back a little nostalgia for Carroll as his father was a boxer. 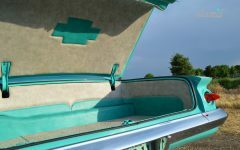 Speaking of nostalgia, Carroll’s 80-year-old mother loves the car as well! 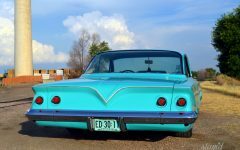 With such a beautiful car and 420hp on tap to play with, it would be easy for anyone to get a bit ballsy with the gas pedal, but Carroll remains grounded and tends to baby his beloved ride (for now). 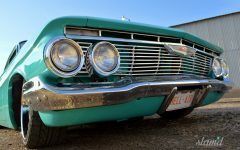 All the awards the car has won with its previous owner and with Carrol mean little to nothing to him, as it’s all about enjoying a piece of automotive history.